Map making is a popular work in the Primary 3 classroom. 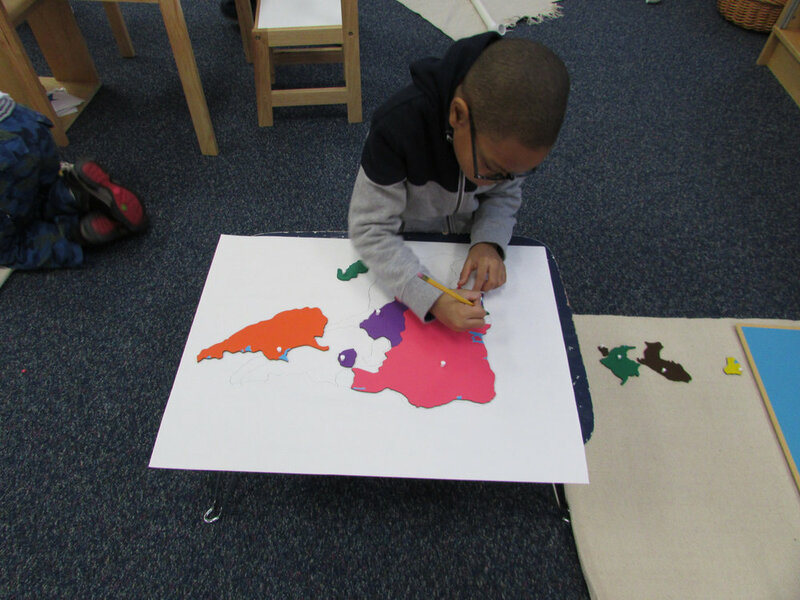 The older students are encouraged to rebuild the map puzzle onto white paper and then trace each country before coloring it in. This requires lots of concentration and helps to develop fine motor skills.